Yesterday, we saw a massive look into Windows Phone’s future with what looks to be like new features via Windows Phone 8.1 (Blue). One of the newly discovered features is a notification center. 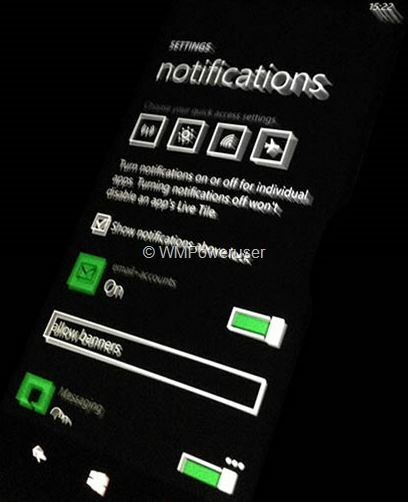 Now WMPU has leaked an image of what appears to be the settings for said notification center. Ready for Windows Phone 8.1? You can take a look at the other leaked features here. New Leaked Image Shows Off Windows Phone 8.1 (blue)? Notification Center and More?